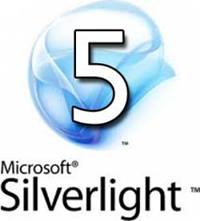 Microsoft, one of the PC giants in the industry, released the Silverlight 5 today. The Silverlight gold version is now available for download. It is the latest version of the renowned browser plug-in for the web, mobile and desktop development platform. This is the fifth version of the Silverlight, which is rumored to be its final major release. It is support by the company until the year 2021. That is quite a longer time as compared to the previous releases. Silverlight 5 is a browser plug in and a useful tool that allows users to create and deliver Internet applications and better media experiences via the web. It has over 40 new features that include more dramatic and better video quality and improved usability for developers. One of the new features this new plug-in boasts of is the Hardware Decode of H. 264 media. It now offers great improvement on decoding unprotected content via GPU. It also has Postscript Vector Printing that can give users better output quality and optimize file size. The graphics are also greatly improved- it now offers 3D support and makes use of XNA API using the Windows platform to achieve low level access on GPU when working on vertex shades low level 3D applications. Silverlight 5 is a free tool that you can download today at http://go.microsoft.com/fwlink/?LinkId=149156. Download will be quick and swift, it is less than 7 MB in file size. This newest version can work on major web browsers including Safari, Google Chrome, Firefox and Internet Explorer. It can work on both Windows and Mac.